It's tempting to blame Syria for all the geopolitical intrigue that will characterize the second quarter of 2016. It is the scene of a protracted civil war, the source of Europe's migrant crisis and a major complication in Turkey's struggle with the Kurds. But in truth, Syria is merely a pawn in a larger game played by more powerful countries, each with its own designs in the Middle East. Chief among them is Russia, which recently withdrew most of its troops from Syria. The military drawdown will not fundamentally alter the civil war, but it will certainly shape the political considerations of the countries invested in the conflict's outcome. Perhaps that was Moscow's intention all along. The Kremlin likely left, in part, to influence negotiations in Geneva and to extricate itself from a potentially long and costly military commitment. But it also left to try to shape Western perceptions of its actions in the Middle East, particularly before the Europeans decide in July whether they will lift their sanctions against Russia. (NATO members will also discuss plans to expand their presence on Russia's western flank.) Compelling the Europeans, however, will be easier said than done. Even the countries that are amenable to easing the economic pressure on Russia — Italy, Greece and Hungary, for example — would rather use the sanctions issue to bargain with Brussels for leniency on budget deficits, aid, bailout terms and bad bank deals. A military’s role goes beyond fighting wars. Summary What do the militaries of China, Pakistan, Egypt and the United States have in common? They not only defend their nation-states, but also uniquely shape the ways their states develop. The definition of war, according to military scholar Gen. Carl von Clausewitz, is “an act of violence intended to compel [your] opponent to fulfill [your] will.” In other words, nation-states establish militaries so that they can force an opponent to do what they want. However, a military’s role can also be more complex than just fighting an enemy. Despite the fact that no major global war is currently being fought, many of the world’s nation-states still maintain large standing armies with hundreds of thousands of active military personnel. According to the International Institute for Strategic Studies, there are over 20 million military personnel on active duty throughout the world. If you take into account reserves and paramilitary forces, that number climbs to well over 60 million. The first reason countries maintain large militaries is that nation-states cannot be too optimistic – they must be prepared for armed conflict and develop military capabilities according to their own unique threat environments. But the second reason is that national militaries often help maintain national unity. At the end of this week, thousands of experts in one of humanity’s most terrible possibilities — nuclear war — will meet here in Washington to discuss how to avoid what they have spent their careers planning to do, in hopes they never will. Michael Krepon, one of America’s most experienced practitioners of the arcane art of nuclear planning, offers the following critique of both Russia and America’s plans for nuclear modernization. Of course, the Russians aren’t attending the summit, but Krepon’s arguments are really aimed at the American national security establishment. Read on. The Editor. Russia possesses more tactical nuclear weapons and a larger number of low-yield nuclear weapons than the United States. Published estimates suggest that Russia possesses perhaps four times more tactical nuclear weapons than the United States. But this ratio is deceiving. The Kremlin’s heavy reliance on these weapons comes from a place of weakness rather than strength. The United States does not need as many tactical nuclear weapons as Russia, but does still need to base some in Europe. * Is India facing its worst-ever water crisis? The power station - one of the 41 run by the state-owned National Thermal Power Corporation, which generates a quarter of India's electricity - was shut for 10 days, unprecedented in its 30-year history. "Never before have we shut down the plant because of a shortage of water," says Milan Kumar, a senior plant official. Where did the weapons used in the 2015 terror attacks in Paris come from? Files from the ongoing investigation now make it possible to follow the trail. Years of EU shortcomings helped the firearms on their way. When Yohan Cohen died, he was lying on the floor of the Jewish supermarket where he worked. Next to him lay three dead bodies. Cohen had been shot in the face and chest by the man wielding two assault rifles. Cohen whimpered and screamed in pain. The gunman asked his other hostages what he should do with him: Should he shoot him so that he finally falls silent? "Don't kill him," the others begged. But at some point, the screaming and whimpering ceased on its own. Cohen, a 20-year-old student, was dead. "We are such stuff as dreams are made on:" Cohen had posted the line from Shakespeare on his Facebook page as a promise of all he had hoped to achieve in life. But now, there were no more dreams left to dream -- everything had ended just as the Shakespeare sentence ended: "and our little life is rounded with a sleep. "Cohen died in Paris, in the Hyper Cacher supermarket where, on that Friday in January, 2015, Jews were buying kosher groceries for the Sabbath. The murderer, Amedy Coulibaly, a criminal since his youth who had been radicalized in prison, was carrying two Ceska Sa vz.58 automatic rifles. One of them was the short version, which had once been modified so that it could only fire blanks -- transformed into a harmless noise-maker. But it had since been converted back into a lethal weapon. It was this Ceska that Coulibaly used to shoot Yohan Cohen -- deadly shots from a weapon that should not have been available on the open market any longer. In the wake of any shocking event, national governments and officials of the European Union invariably call for more cooperation between member states to prevent anything similar happening in the future. The response to the March 22 terrorist attacks in Brussels has been no different. Following the attacks, the governments of Germany, Italy, France and members of the European Commission demanded a global response to the terrorist threat. The commission's president, Jean-Claude Juncker, even proposed the creation of a "security union" to combat terrorism at the continental level. In a March 24 meeting, ministers at the EU Justice and Home Affairs Council highlighted the need to share information among member states to fight terrorism. But despite the calls for greater cooperation among EU members, the national interests of individual member states will prevail in the long run, limiting the possibility of integration within the bloc on security issues. As it stands, the European Union already has several continent-wide security structures in place. The European Police Office (Europol) handles criminal intelligence and combats international organized crime, while Frontex manages cooperation between the national border guards that secure the European Union's external borders. Eurojust, in turn, coordinates investigations and prosecutions among EU members, especially for transnational crimes. Because their duties are mainly logistical, coordinating efforts and resources among states, these agencies have little staff and equipment of their own. No country that is not substantially self-reliant in defence production can aspire to become a dominant military power in its region and, in due course, on the world stage. Prime Minister Narendra Modi has selected ‘Make in India’ as a key feature of his policy for economic development. While addressing investors during his visit to the United Kingdom in November 2015, he once again invited them to come and make in India. The aim of indigenisation of defence manufacture should be to make India a design, development, manufacture, export and servicing hub for weapons and defence equipment by 2025. According to a February 2016 report by SIPRI, it is now the largest importer of weapons systems and defence equipment in the world and accounts for 14 per cent of the world’s defence imports. 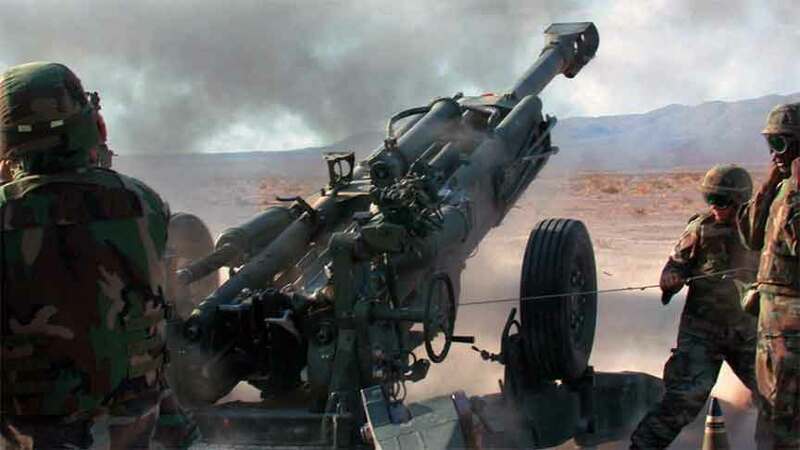 The Regiment of Artillery needs to expedite its modernisation process particularly with regard to guns and ammunition. All our guns are more than 25 years old and need to be replaced. The first platform likely to be inducted possibly would be the 155mm M777 Ultra Light Howitzer on a Foreign Military Sales Programme from the United States. These would be about 145 pieces which would enable about eight regiments. These guns would be an asset for the Mountain Strike Corps being raised shortly. Artillery is a combat arm which has proved its worth in the four wars that India has fought as also the Kargil Conflict of 1999. Artillery has also maintained our ascendancy of fires across the Line of Control (LOC) and Actual Ground Position Line (AGPL). It spoke volumes when Pakistan undertook a unilateral cease fire in 2003 due to our accurate engagement of critical targets along the LOC. Yet we have to be prepared for a two-front war against China and Pakistan. It is indeed a difficult task particularly to provide firepower simultaneously on both the fronts. To undertake operations under such conditions, Artillery must be prepared to modernise and enhance its force structure to enable preponderance of firepower. Pakistan has sent a five-person Special Investigation Team (SIT) to India to investigate the circumstances of the January attack on the Indian Air Force’s base at Pathankot, which New Delhi alleges was conducted by Pakistan-based militants. The investigators arrived in New Delhi on Sunday and will travel to Pathankot to evaluate evidence, interview witnesses, and survey the scene of the attack. India suspects militants belonging to Jaish-e-Mohammed (JeM), a Pakistan-based anti-India terror group, as responsible for the attack. The United Jihad Council (UJC), a coalition of militant groups against Indian rule in Kashmir, claimed responsibility for the attack as well. 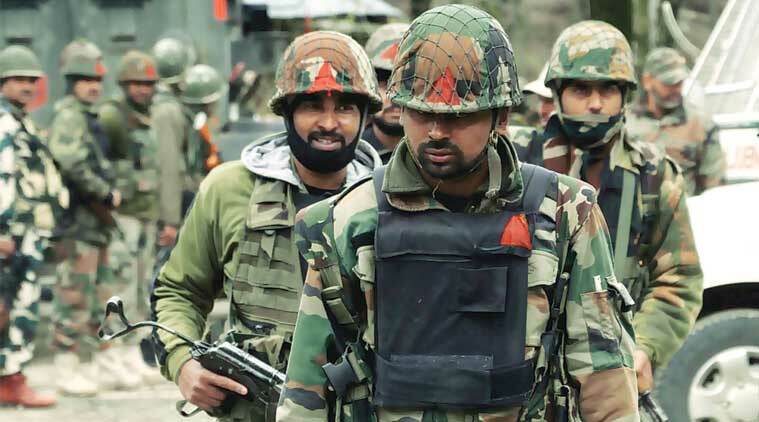 In the aftermath of the January 2 attack on the air base, which resulted in 14 deaths, including all six of the attackers, India claimed that phone intercepts substantiated New Delhi’s suspicion that the attackers had crossed over from Pakistan. 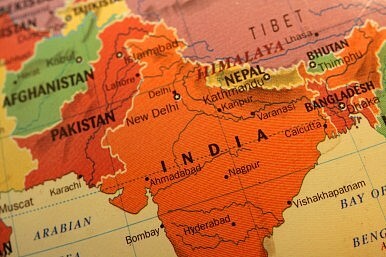 The attacks had come at a time of unusual diplomatic rapprochement between India and Pakistan–a trend that had culminated with a surprise stopover by the Indian prime minister in Lahore on his way back from Afghanistan on December 25, 2015. The attacks caused India and Pakistan to postpone scheduled national security adviser talks. The Central Government can’t do more than what it has already done, i.e. creating a path to establish a single window clearance system in place for clearing real-estate projects. But the entire process of clearing a real estate project through the various stages is a good money making exercise for both state level politicians as well as bureaucrats. So the economic incentive is clearly against a single window clearance. The ball is now in the States’ court to break the builder-politician nexus. Conversations with friends who live in Delhi and the National Capital Region (NCR) inevitably turn towards the topic of real estate. Over the last two weeks, I met two friends and we ended up talking about the perils of the idea of owning real estate, among other things. In the case of one friend the builder has taken the money and is postponing building the apartments. Meanwhile, the housing finance company has turned a blind eye to this. At the same time, my friend is paying the EMI, though the promised home is nowhere in sight. He continues to pay rent as well. Not a happy situation to be in. Anil Ambani-led Reliance Defence Ltd, and Rafael Advanced Defence Systems Ltd of Israel have decided to set up a joint venture company in India in the highly specialized areas of air-to-air missiles, air defence systems and large aerostats, that will oversee projects worth USD 10 billion (over Rs 65,000 crore) in ten years. Assessing Prime Minister Narendra Modi’s performance on the eve of the second anniversary of his government throws up three facts and two conclusions. First the facts. One, on foreign policy, Modi is doing well with the exception of his Pakistan policy which remains a work-in-progress. Two, on social policy, the jury’s still out. Education is a key area and needs more attention than it is receiving. So do sanitation and healthcare. Three, on economic policy, schemes on financial inclusion, digitization and domestic manufacturing are purring along nicely though tax reforms remain a standout failure. That brings us to the two conclusions. A tale from Karakalpakstan What connects a desolate Central Asian region to Pakistan? The Aral Sea, situated in the autonomous Karakalpakstan region in Uzbekistan, was once the world’s fourth-largest inland sea. Today, it is only 10 per cent of what it used to be. The two rivers that fed it were largely diverted in a failed cotton-production project during the Soviet era. UN Secretary General Ban Ki-moon says it is one of the planet’s most shocking environmental disasters. Once a flourishing fishing port, Karakalpakstan is today a city of sand and salt. Under Stalin, the Soviet Union created a new autonomous area in the Uzbek republic of what Muslims in India knew as “Turkistan”, anciently associated with the Karakalpak (black cap) Turkic tribe. 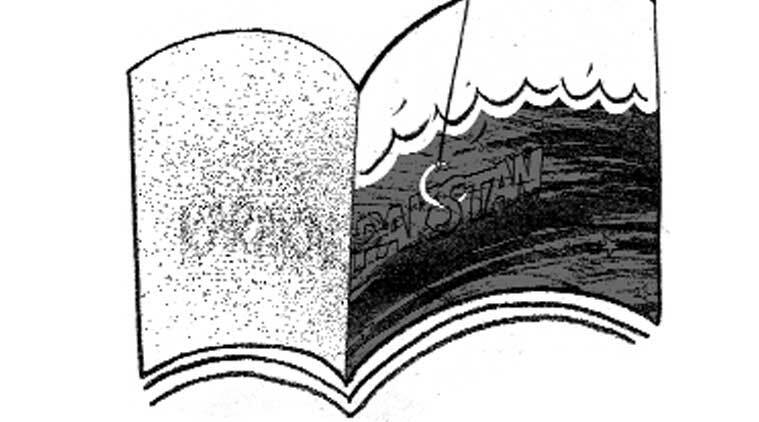 (The cap, not necessarily black today and completely differently shaped, may have become known in Pakistan as the Jinnah cap.) There is no reason why this desolate region south of the Aral Sea should become the origin of the name Pakistan, but thereby hangs a curious tale. Sometime in the early 1980s, a scion of the famous house of Fazl-i-Hussain visited my uncle, Agha Ahmad Raza Khan, in Zaman Park, Lahore, and I, as a young journalist, was called in to listen to his conversation. The guest was an Indian diplomat, the retired ambassador Azim Hussain. I must here recall that his father, Fazl-i-Hussain, a Punjab chief minister, was immortalised in a teaching wing of the Government College Lahore (GC) building where I studied for six years and taught for an additional four. Pakistan has proved that terrorism pays. It extracts billions of dollars from the United States even as it funds terrorist groups that kill American soldiers. Washington raps Islamabad on the knuckles every now and then, but eventually gives in: it needs Pakistan as a client-state while the West fights the Islamic State (ISIS) in Paris and Brussels. India is the biggest victim of the toxic US-Pakistan axis of convenience. America will not declare Pakistan an outlaw state. It will also not stop military aid to Pakistan even though Washington knows its F-16 fighter jets will not be used by Islamabad against Taliban terrorists, but to attempt military parity with India. If you attend a Congressional hearing on the state of U.S.-Pakistan relations, you’ll probably hear one of the lawmakers refer to Pakistan as a “frenemy,” sometimes friend, sometimes enemy. It is one of the more contentious relationships the United States has with a nation that is ultimately so critical to American and regional security. After a U.S. Marine was killed defending a position abandoned by Iraqi troops, they were supposed to have toughened up. … Nope. TEL REEM, Iraq – At first, Iraqi soldiers involved in an operation to capture villages close to Mosul on Friday were in good spirits. “Allah Akbar,” Arabic for “God is Great,” they shouted after they hit an alleged Islamic State (ISIS) suicide bomber with US-provided mortars. But just one hour later many of them fled, fearing ISIS would strike back. The first challenge was to capture the strategic little village of Nasr that would open the road for the Iraqi military to take the rest of the area. The ultimate short-term aim is to cross the Tigris River and take Qayarrah. This would open the road to the city of Mosul for future operations. Naval modernization is a key component of China’s military program and seen as crucial to realizing President Xi Jinping’s “Chinese Dream” of a strong and prosperous China. A white paper released last year announces ambitious goals: By 2020, the People’s Liberation Army Navy (PLAN) is supposed to the second-best in the world. In this report, Wikistrat’s David K. Schneider analyzes China’s capabilities and intentions for projecting power into its near and far seas. He argues that China is unlikely to emerge as a new global maritime hegemon or peer competitor of the United States anytime soon. But it could emerge as a peer challenger in East Asia or in other theaters in cooperation with another regional peer competitor such as Russia. It is the final chapter of one of American president Barack Obama’s rare, undisputed foreign policy achievements: the Nuclear Security Summit. But it ends with troubling questions: how enduring will it be? What next? There is no question the summit is a response to the world’s worst post-September 11 nightmare: terrorists with a nuclear weapon threatening Washington, Beijing, Riyadh or Dubai. Already ISIL has used chemical weapons in Syria. In 2011, smugglers were caught in Central Asia trafficking in highly enriched uranium (HEU), and North Korea has sold nuclear equipment to Syria. With the Iranian nuclear threat deferred, though perhaps looming, and as nations in the Middle East move toward civil nuclear energy, is the region ready for the challenges of nuclear security? Since the end of the Cold War, the US and Russia have reduced nearly 90 per cent of their nuclear arsenals and melted down several tons of fissile material. Yet there remain some 1,800 tonnes of weapons-usable material scattered in hundreds of civilian and military facilities around the globe – enough for thousands of nuclear weapons. Is ISIL really shifting its focus towards terrorist attacks abroad to compensate for its military losses in Iraq and Syria? This theory became popular in media and policy circles after the Paris attacks in November, and resurfaced last week after the strikes on the airport and metro in Belgium. ISIL undoubtedly wants to increase its foreign attacks because it has suffered a long series of military losses over the past 12 months since its defeat in Tikrit. But those who see the development as anything but part of the organisation’s evolution are missing the mark. If anything, the attacks in Paris and Brussels portend the weakening of the link between the organisation’s international activities and how it is faring on the ground in the region. Military successes in the summer of 2014 helped establish the group as a destination for thousands of foreign fighters, many of whom travelled to Syria and Iraq with their families. ISIL’s ability to attract sympathy abroad was largely contingent on its performance on the ground. 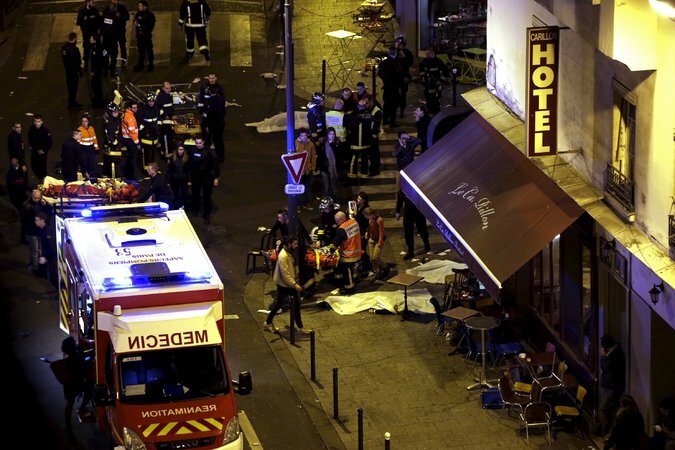 The Paris attacks left 130 dead in November, but a branch within the Islamic State was obsessed with striking Europe at least two years before then. At least 31 people were killed and up to 270 others wounded in the terror attacks in Brussels on Tuesday morning, responsibility for which was claimed by Isis. Since then, 29 people have been killed in a suicide bomb attack in a village south of Baghdad, Iraq, following a local football match on Friday. More than 50 people were injured in the blast, which Isis also claimed responsibility for. On Friday, three suicide bombings were also claimed by Isis in which 22 people were killed in Yemen. The bombings occurred at checkpoints of Yemeni loyalist forces in Aden, killing 10 civilians, and were followed by an attempt to attack a nearby Saudi-led Arab pro-government coalition base. The attacks serve as a reminder that while the attacks in Brussels and Paris were a shocking and tragic loss of life, attacks of these kind are, sadly, all too regular in the Middle East. Editors’ Note: The mass-casualty terrorist attacks in Paris and now in Brussels underscore an unsettling truth: Jihadis pose a greater threat to France and Belgium than to the rest of Europe. Research by Will McCants and Chris Meserole reveals that French political culture may play a role. This post originally appeared in Foreign Affairs. The mass-casualty terrorist attacks in Paris and now in Brussels underscore an unsettling truth: Jihadists pose a greater threat to France and Belgium than to the rest of Europe. The body counts are larger and the disrupted plots are more numerous. The trend might be explained by the nature of the Islamic State (ISIS) networks in Europe or as failures of policing in France and Belgium. Both explanations have merit. However, our research reveals that another factor may be at play: French political culture. The Islamic State (IS), al-Qaeda-linked groups, Boko Haram and other extremist move­ments are protagonists in today’s deadliest crises, complicating efforts to end them. They have exploited wars, state collapse and geopolitical upheaval in the Middle East, gained new footholds in Africa and pose an evolving threat elsewhere. Reversing their gains requires avoiding the mistakes that enabled their rise. This means distinguishing between groups with different goals; using force more judiciously; ousting militants only with a viable plan for what comes next; and looking to open lines of communication, even with hardliners. Vital, too, is to de-escalate the crises they feed off and prevent others erupting, by nudging leaders toward dialogue, inclusion and reform and reacting sensibly to terrorist attacks. Most important is that action against “violent extremism” not distract from or deepen graver threats, notably escalating major- and regional-power rivalries. The reach of “jihadists” (a term Crisis Group uses reluctantly but that groups this report covers self-identify with; a fuller explanation for its use is shown in Section I below) has expanded dramatically over the past few years. Some movements are now powerful insurgent forces, controlling territory, supplanting the state and ruling with a calibrated mix of coercion and co-option. Little suggests they can be defeated by military means alone. Yet, they espouse, to varying degrees, goals incompatible with the nation-state system, rejected by most people in areas affected and hard to accommodate in negotiated settlements. Most appear resilient, able to adapt to shifting dynamics. The geography of crisis today means similar groups will blight many of tomorrow’s wars. East or West: Where Will Russia Send Its Natural Gas? Russia’s natural gas policy is at a watershed moment. It still sells most of its gas to Europe, but a slump in demand and accelerated European Union diversification efforts in the wake of Russia’s annexation of Crimea have pushed Moscow to accelerate its quest for market access in the East. Demand there is strong, but Russia does not have the infrastructure to expand rapidly. Russia can’t make a clear-cut choice between East and West, though, Wikistrat argues in this report. It must hold onto its European market share and is ultimately willing to comply with legislation — but it won’t do so without putting up a fight. As they did after the Paris attacks in November 2015, EU interior ministers met last week for an emergency discussion in Brussels in the aftermath of two attacks committed last Tuesday in the Belgian capital. These attacks demonstrate that the threat of terrorism is likely to remain consistent for the near future in Europe. Their modus operandi, and the background of the terrorists involved, are all indications of a transnational threat, requiring common responses at the European level to complement EU member states’ national counterterrorism policies. At a time when Europeans increasingly doubt the ability of the European Union to address shared challenges, ensuring such stronger EU contribution is urgent for both security and political purposes. The frontier between the internal and external dimensions of the threat has essentially disappeared. About 5,000 EU citizens have travelled to Iraq and Syria as foreign terrorist fighters (FTFs). Many of them have already returned or will do so. Their EU citizenship makes it extremely difficult to track their movements within and outside of the Union. As illustrated by a March 1 report of the EU counterterrorism coordinator, this situation requires better coordination of member states’ policies, first within the Union, second at its external borders, and third outside of the Union either for cooperation with third states or for intensifying the fight against the Islamic State in Syria and Iraq. Although security responses are only part of the larger counter-violent extremism equation, this commentary focuses on the European Union’s counterterrorism (CT) approach. The Department of Homeland Security admits there could be drawbacks to the idea, including a spike in the cost of insurance. Such a repository would ask participants to share specific but anonymized details about cyberincidents and threats, including details such as attack timeline, apparent goal and prevention measures. Until the end of May, DHS is collecting comments on the concept and wants responses on three recent white papers it issued outlining benefits, obstacles and data points participants might be asked to contribute to the repository. In the civilian and commercial worlds, having actionable information and function at your fingertips through apps on your smartphone is now standard – banking, tracking fitness, making dinner reservations, managing shopping lists. In the military, the ability to use a handheld device to even track battery life on critical equipment is a luxury. But it’s a luxury that’s becoming more common. Increasingly, troops on the ground, even at the tactical edge, are able to tap mobile applications for a variety of different uses, whether it’s mapping and positioning in GPS-denied environments, interacting with a Raven unmanned aerial vehicle or monitoring and prioritizing energy use of battery-run equipment. However, it’s not as simple as logging into the iTunes app store or the Google Play store and downloading the app of choice. These are devices and apps that have to run in austere environments with limited connectivity, so users and decision-makers have to weigh the significance of moving information over the device against the constraints of a limited tactical network. There are three worlds of emotion surrounding deployments: (1) excitement, (2) grim determination, and (3) dread. There is no getting around the challenges of a major deployment for military members. There are long hours, arduous environmental conditions, the unique mix of ever present boredom and danger, and missing loved ones. A good way to help overcome those feelings is to challenge yourself to use every minute of a deployment in a way that helps advance your career, goals, motivation, and health. 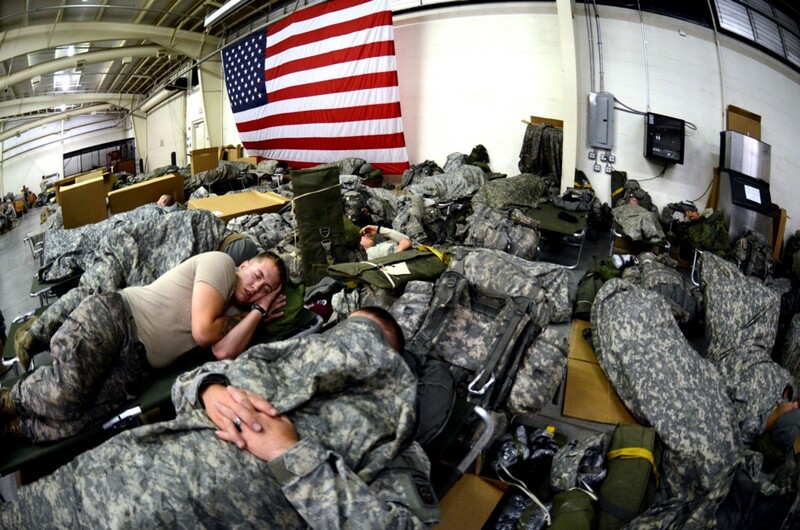 Here are six ways to use your time well on a deployment. Using Your Time Well on Deployment #1 — A Perspective of Improvement. You may be on a platoon sized base, an aircraft carrier, or in the Republic of Korea. Each deployed location offers different resources and abilities to improve yourself and advance your career. Focus on what you have and can do at your current location. Do not focus on what you do not have or would like to have. Always focus on what you can do to improve yourself and career.